"Best Quality, Best Value, Best Service"
Need to brighten up your home? A fresh coat of paint from the experts at Legg’s Painting could be the answer. 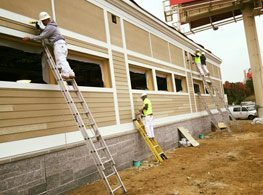 From new construction to remodels, Legg’s Paintings offers complete solutions for commercial painting needs. 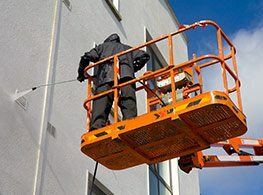 Let the beauty of your home or business shine through with professional power washing services from Legg’s. 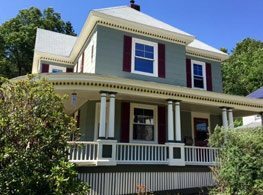 From single floor projects to full exterior paint jobs and everything in-between, Legg’s has done it all. Restore the beauty of your home or business with professional interior and exterior painting services from Legg’s Painting. 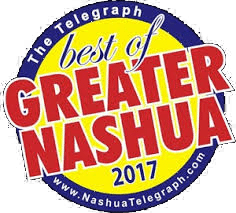 We are the premier choice for residential and commercial projects throughout southern New Hampshire. Legg’s combines an experienced team of professional painters and premium brand paints to deliver the best quality paint job. At Legg’s, we believe a quality paint job doesn’t have to cost a fortune. Our clients receive the best value for their project with honest estimates and competitive pricing. Our well-trained, experienced staff of painters deliver nothing less than quality craftsmanship and professionalism. 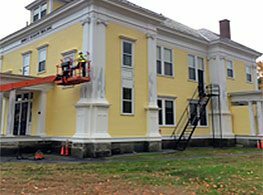 For more information about our painting services or to request a free estimate, please contact us using the form below or call 603-494-0835.